Aker BioMarine’s business purpose is to develop the natural resource krill into value-added products for humans and animals. Long-term and sustainable development is essential for the company’s existence. Corporate Social Responsibility (CSR) is an integral part of Aker BioMarine’s culture. Key elements of our culture are that we act properly, but not arrogantly, we accept mistakes, but expect honesty and we do not expect more of others than of ourselves. Aker BioMarine’s vision is to create a healthier lifestyle through responsible and sustainable decisions. The company’s core values – proud, determined, diverse and sustainable – underpin its CSR work. Making deliberate socially responsible decisions enable us to achieve profitability over time, while taking care of the environment and society. Responsible conduct will not be undermined by prospects of short-term gain. The Compass is a practical tool that sets out Aker BioMarine’s main CSR principles in the areas of people, society, the environment and integrity. The Compass guides the group companies and employees on how to act in and navigate day-to-day situations, in a demanding global landscape. Responsible decisions demand orientation in a challenging landscape and the compass needle represents our values while the cardinal points designate our actions. Aker BioMarine shall be known for its high ethical standards by conducting its business with integrity, and respecting the laws, cultures, dignity and rights of individuals in all of the countries where we operate. We therefore expect the same of our business partners, including suppliers, advisors, government partners and others. Aker BioMarine’s Code of Conduct (download in English or Russian) states our requirements for business practices and personal conduct in and on behalf of Aker BioMarine. Privacy legislation should, as a part of its broader purpose, ensure integrity and confidentiality in the processing and storing of personal data. Aker BioMarine safeguards the privacy of our employees and everyone we do business with when handling sensitive information. 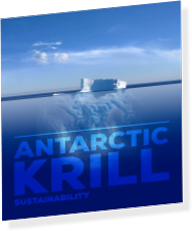 The AKBM group is the world’s leading krill supplier and the only supplier that controls the entire harvesting and production process. We are committed to conducting our business with integrity and the highest ethical standards. In order to contribute to its commitment to integrity and the highest ethical standards, all of AKBM’s Suppliers (including contractors and all sub-tier suppliers) are required to indicate their commitment to the principles in a Supplier Declaration. Responsible decisions demand orientation in a challenging landscape. We seize opportunities and use natural resources in a sustainable way to the benefit of society and health. We invite civil society, science community, NGOs and other sources of knowledge to take part in the development of the industry. This is how we create value for the benefit of our stakeholders and how we demonstrate responsibility. We apply know-how and responsible conduct to develop our business. We have the courage and ability to think different and find new solutions. Daring projects may fail, but never in ethical matters. We expect openness and we learn from our successes and failures. Ethical conduct is our backbone. There is no doubt about what is right and wrong, although dilemmas can be many and difficult. We are role models who show courage, are open minded, and make demands on ourselves as well as others. Unethical behavior carries consequences. We achieve results based on knowledge and experience. We seek solutions through diversity in knowledge and we pursue the best expertise wherever it may be found.